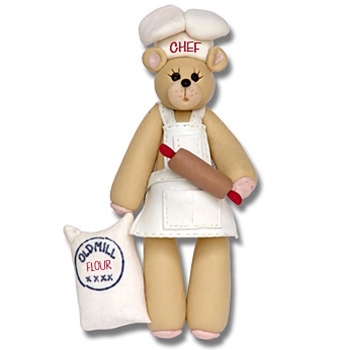 Deb &amp; Co. - Belly Bear Chef&lt;br&gt;Personalized Ornament-ON SALE! It is lovingly designed and handcrafted from polymer clay by me. This is an original made by me in 2009. I only made 6 of these so there are just 2 left for sale. Comes complete with a hook and satin ribbon for hanging.